Zavala (Alexander Zavala ) is a Chicago based electronic music producer born and raised on the outskirts of Chicago. For the past 15 years Zavala has been creating and defining a unique sound of his own with influences heavily based in golden era hip hop & house. A sound of which is dense in melody & textural soundscapes and is often described as a moody combination of the dark with the blissful, all built on a foundation of analog synthesizers, drum machines & samplers. Zavala first gained recognition in 2010 with his debut "Canciones Modernas" A vinyl only - split 12" with Legendary Chicago producer DJ PNS Of The Molemen) released on vinyl-centric Fieldwerk Recordings, a record label co-founded by Zavala. All the while, Zavala began his role as production and 1/2 of the left field hip-hop duo Dark Time Sunshine. The duo combining Veteran MC Onry Ozzborn (of Grayskul/Rhymesayers) gained critical notarity later that year in 2010 with their debut LP "Vessel" released on Fake Four Inc. and subsequently spent the following 5 years touring extensively. Since his debut release in 2010, Zavala has worked very little outside of Dark Time Sunshine with only a few solo releases on labels such as insect records & Fake Four Inc. as well as remixes for the likes of Aesop Rock, Busdriver & Sister Crayon. Fast fwd to 2015 where you can find Zavala delving into the realm of House music, a genre near & dear, representing a time of musical discovery, youth, the roller rink, and being the essential influence for his melodic explorations and niche. More so than ever you can find Zavala's output steeped in the influence of Chicago house, UKG & Techno. 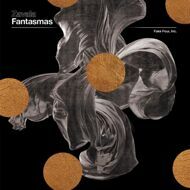 His 2016 Release Fantasmas is a clear representation of that & yet another reflection of his unique & imaginative vision.